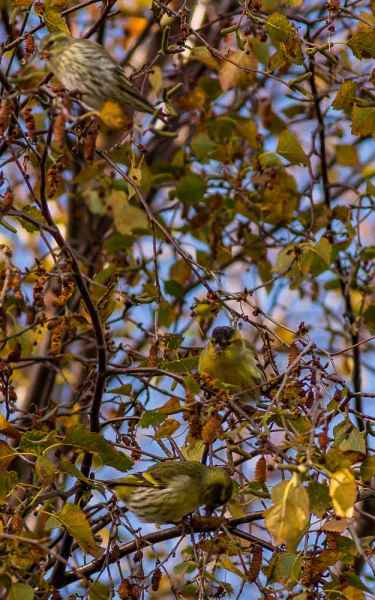 A winter visitor, Siskins can be found throughout the area, principally near watercourses where they feed on alder seed heads. 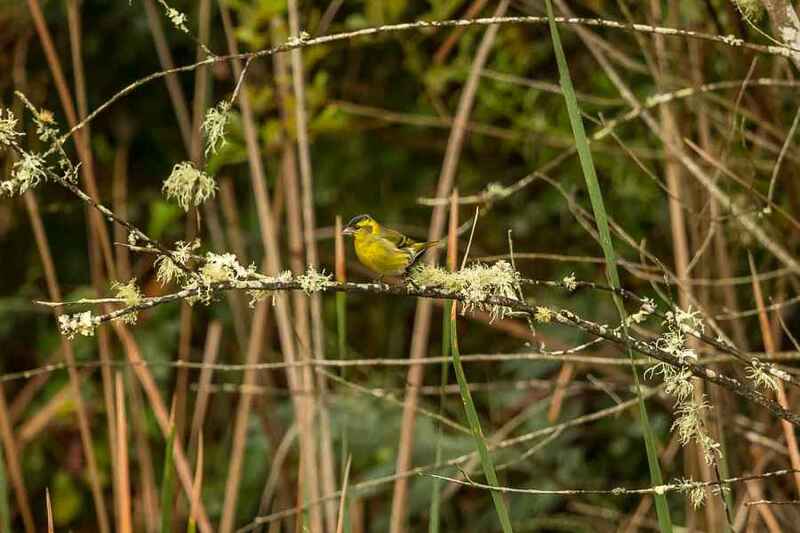 Superficially resembling the more common Serin in this area, they are told apart by a longer, sharper beak, a prominent black cap on the male and a brighter, larger, yellow wingbar in both sexes. 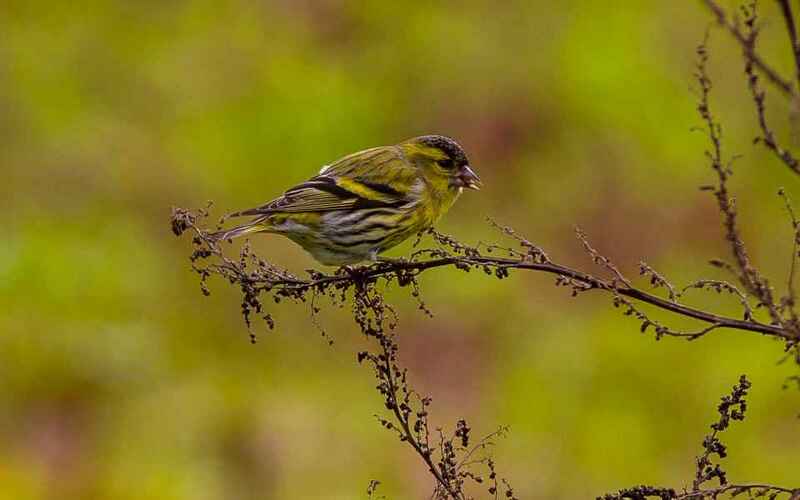 They are also more likely to be feeding in small flocks of up to ten individuals whereas Serins seldom congregate together.